Many many thanks to Andreas Wetter for translating the liner notes of 4 ዝናኞች ሲያዳምጡ በልብዎ ላይ ሰላምና ፍቅር ያገኛሉ - When You Listen to the 4 Famous Singers You Will Find Peace and Love in Your Heart, a really nice cassette issued by Ambassel Music Shop in Ethiopia in 1992. With the exception of Martha Ashagari, who was featured in a previous post, I've been unable to find out much about these artists, although judging by the number of Youtube videos available online, they're very popular indeed! Download Four Famous Singers as a zipped file here. Note: I have included the Ge'ez font provided by Andreas for the benefit of anyone using an Ethiopic-language search engine. However, depending on your browser and its settings, this may be visible to you as gibberish, or may cause your computer/smart phone to run slowly or even crash. If you have the latter problem, please let me know in the comments and I will rectify the situation immediately! If you're a fan of Aster Aweke or Kuku Sebsebe, you'll no doubt enjoy this cassette by Ethiopian vocalist Martha Ashagari. 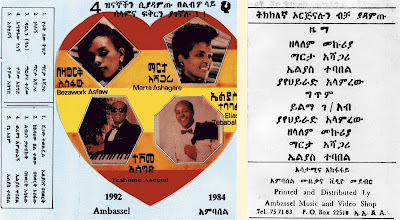 Ärä Bakeh (Ambassel Music Shop) was released in 1993 shortly after the fall of the Derg, but Ashagari has been singing professionally since 1988 with the Abyssinia and Roha Bands, and during the '90s had her own nightclub in Addis Ababa. In 1996 she recorded the CD Child's Love/Ye-Lij Fiker, which is available online from AIT Records (I included a tune from it on my compilation African Divas Vol. 2). Ashagari is notable for her unique vocal tone, somewhere between a sob and a wail. 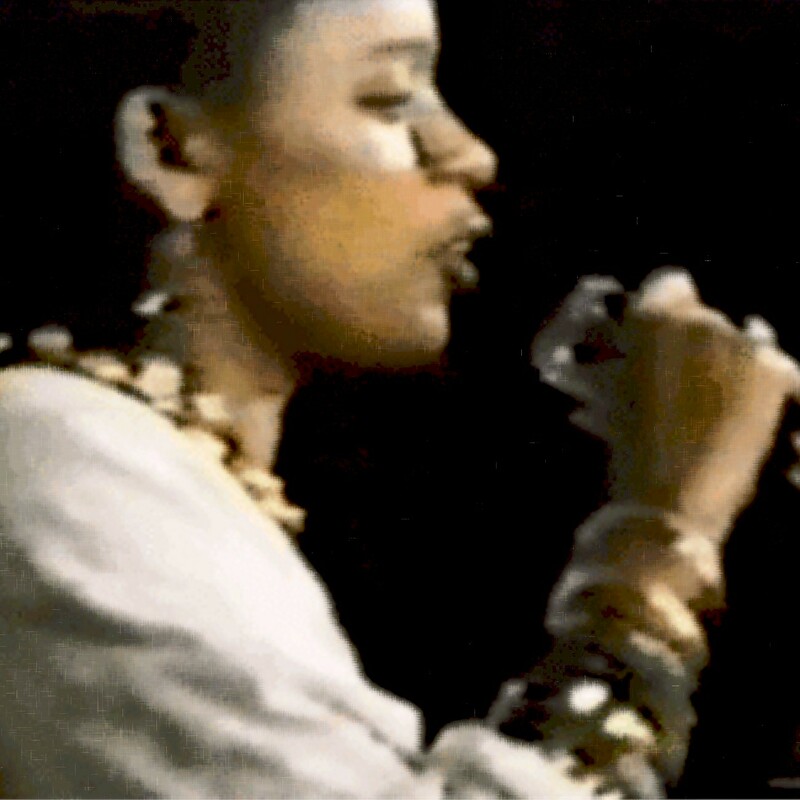 Side 1 of Ärä Bakəh typifies the '80s-'90s Ethiopian style, but Martha really hits her stride with side 2 of the cassette, especially the emotional ballads "Zoma" and "Ende Näh" and the Tigrinya song "Sälam Bäluläy." Update: Thanks to Andreas Wetter for his correction of my transliteration.